This is a video letter addressed to the President of the United States of America, the U.S. Congress, the U.S. Senate, and the U.S. Supreme Court from a group of Khmer Exiled Americans (K.E.A.s). 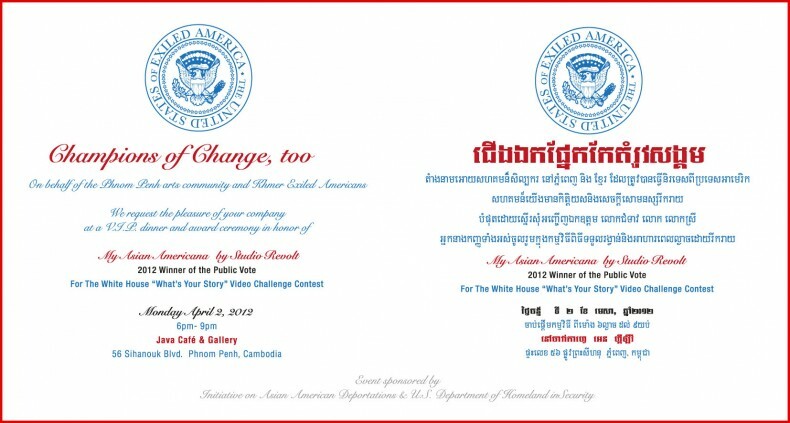 Our previous video “My Asian Americana” (http://www.youtube.com/watch?v=YQxtfCz4B1o) was a finalist for the White House AAPI’s “What’s Your Story” video contest. We won the highest popular votes by a landslide. But the White House decided to disregard the votes and silence our voice in this election year. They formally refused to invite our movement’s representative to the event. 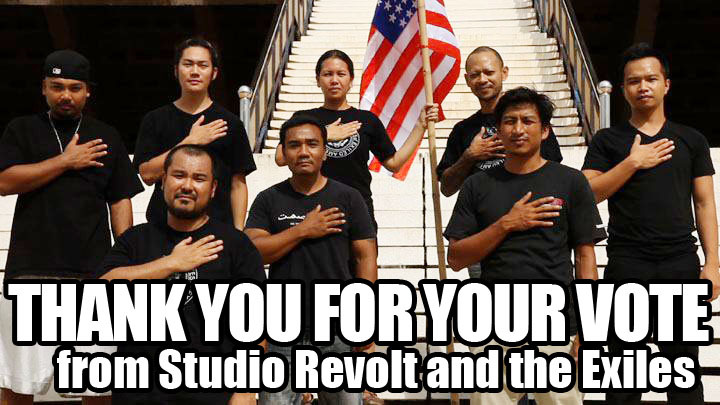 This video was produced by Studio Revolt.